A key discovery to understanding the longevity and endurance of Roman architectural concrete has been made by researchers using beams of X-rays at the Advanced Light Source at Lawrence Berkeley National Laboratory. Ancient Roman concrete consists of coarse chunks of volcanic tuff and brick bound together by a volcanic ash-lime mortar that resists microcracking, a key to its longevity and endurance for nearly 2,000 years. 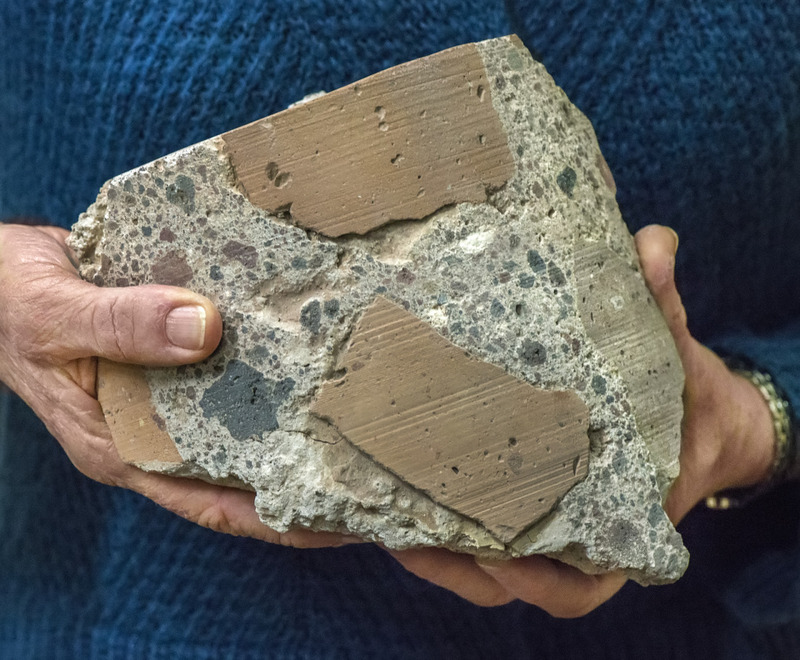 The mortars that bind the concrete composites used to construct the structures of Imperial Rome are of keen scientific interest not just because of their durability, but also for the environmental advantages they offer. Manufacturing modern cement requires heating a mix of limestone and clay to 1,450 degrees Celsius, a process that releases enough carbon to account for about 7 percent of the total amount emitted into the atmosphere each year. Roman architectural mortar, by contrast, is a mixture of about 85 percent volcanic ash, fresh water and lime, which is calcined at much lower temperature than today’s cement. Coarse chunks of volcanic tuff and brick compose about 45 to 55 percent of the concrete. The result is a significant reduction in carbon emissions. If we can find ways to incorporate a substantial volumetric component of volcanic rock in the production of specialty concretes, we could greatly reduce the carbon emissions associated with their production while also improving their durability and mechanical resistance over time. Where do heavy elements like gold come from?